Company: Fox & Associates Co., L.P.A. Ms. Decker-Hall entered law with a desire to help give a voice to those without one. She held a position with Legal Aid of Western Ohio, Inc., a nonprofit regional law firm, for more than 8 years after graduating from Ohio Northern University with a JD. There, she developed her expertise in domestic relations before moving onto her current position with Fox & Associates Co., L.P.A., where she focuses on family law and divorce cases. 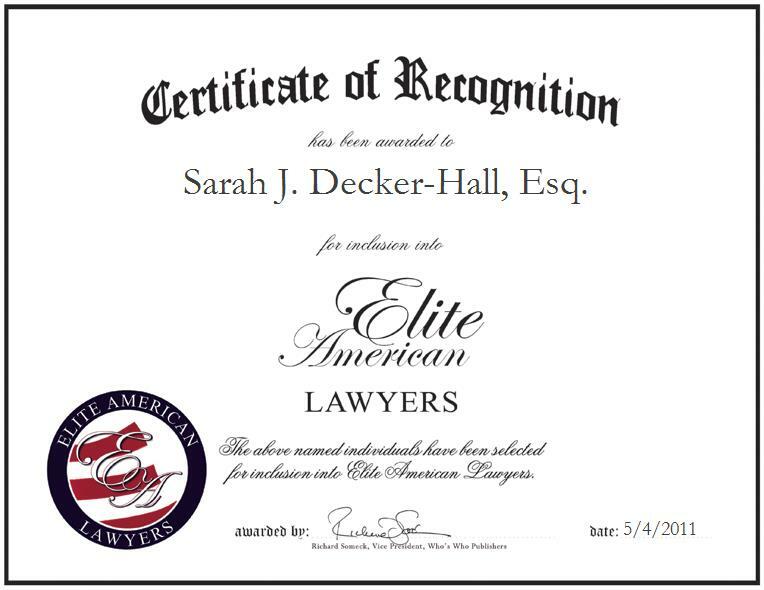 Moving forward, Ms. Decker-Hall intends to progress within the field of law and set a good example for future female lawyers.